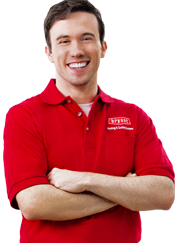 Looking for air conditioning installation experts in LBI? Since 1999, Air Technical Services Heating and Cooling has been providing reliable air conditioning, heating and plumbing services, installation, maintenance and repair for homes and businesses throughout Long Beach Island and Barnegat, NJ. We treat our customers like family and pride ourselves on top quality work done right the first time. What Do I Need to Know About Air Conditioner Energy Efficiency Levels? Newer, energy efficient air conditioners can save big on energy use. Even if your AC unit is only 10 years old, you can still reduce energy costs by replacing it with a newer, more efficient model. Energy efficiency is measured by the seasonal energy efficiency ratio (also known as SEER). Modern air conditioners typically have a SEER value ranging from 13 or 14 SEER as a minimum to a maximum of 21 or 25 SEER. Older air conditioner units, perhaps like the one you have in your house right now, are rated at around 8 or 9 SEER. Basically, the higher the ratio, the more efficient your equipment will be to save energy and costs. 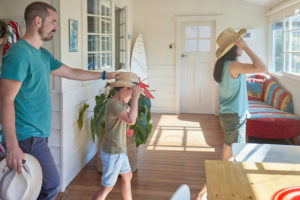 Don’t wait for another summer heat wave to realize you need a more energy-efficient air conditioning system. Whether you’re building a new home or you’re ready to upgrade to a more environmentally-friendly and efficient unit, there’s no better time than now to explore your options. Schedule your free estimate and one of our Nate certified air conditioning installation experts will help you decide what unit best suits your needs – and price point. We’re your air conditioning installation specialists delivering service LBI-style: friendly, reliable, knowledgeable and always with our customer’s needs in mind. Our goal is to deliver 100% satisfaction every time. Since we’ve been around a while, we’ve seen and heard it all. Here are a couple common questions about air conditioning installation to help you determine your next steps. Age of Air Conditioner– The lifespan of an air conditioner is typically around 10 years, but can extend up to twenty years if maintained properly. If your air conditioner is more than ten years old, it may be time to start exploring your options. Costly Repairs– If your AC repair man is on speed dial and the price to repair your unit continues to increase, it’s going to end up costing you more in the long run to keep repairing rather than replacing your unit. Increasing Energy Bills- As your AC unit gets older, it becomes less energy efficient. Compare utility bills over the past few summer seasons to see if costs are rising. This could be a sign your air conditioner is starting to wear out. Refrigerant Leaks- HVAC refrigerant leaks are not only expensive, but can cause the compressor to eventually fail as well. In addition, depending on the age of your unit, the type of refrigerant that your AC uses may also cause problems in the future.